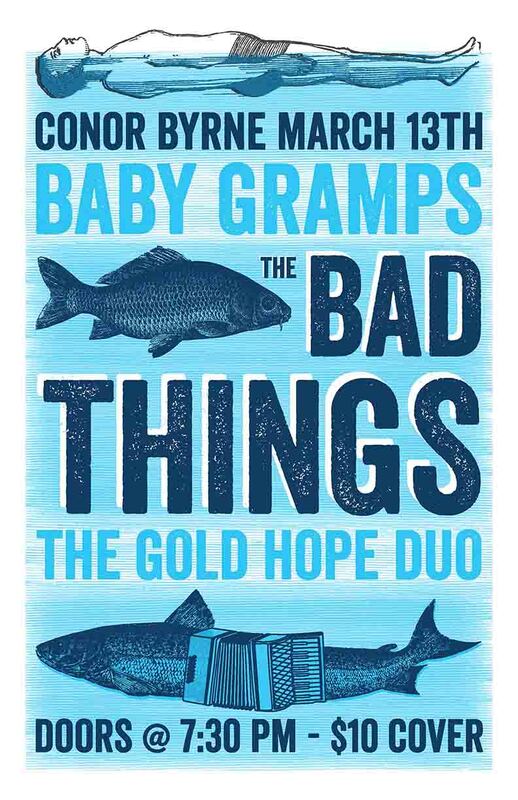 Hitting Ballard in Three Weeks with Gold Hope Duo and Baby Gramps! A great little lineup featuring our buddy, the legendary Baby Gramps, The Gold Hope Duo out of Kingston, New York, a high-octane folkabilly swing and The Bad Things closing out the night with our trademark arsenal of drinking songs and wounded waltzes. What else you gonna do on a Thursday night Ballard? Start the weekend early. Show starts at 8:30 with Baby Gramps so get there early! Doors at 7pm. Music at 8:30pm. Cover is $10. 21 and over with ID.